Budding distiller Simon Fairclough has set up Scotland’s first Gin Club, dedicated to nosing and tasting gins made north of the Border. On a mission to fly the flag for locally distilled gin, Gin Club Scotland (www.ginclubscotland.com) gives gin-lovers the length and breadth of the nation a chance to sample small-batch Scottish craft gins alongside the big brands – and appreciate the growing range of flavour profiles now available. With 70 per cent of UK gin made in Scotland, and over 30 different varieties created across 16 distilleries, there is no shortage of samples. Simon Fairclough, formerly marketing consultant for famous Scotch whisky brands Johnnie Walker, Cardhu, Talisker and Jura, explains why the Club is bang on trend: “Gin is undergoing a revival which shows no sign of abating anytime soon. Sales are growing at 12% in pubs, bars and restaurants as the Spanish trend for gin bars with extensive gin menus is captivating the UK. The launch of Gin Club Scotland, and its inaugural tasting, took place in Perth on June 13 with over 70 people to kick start World Gin Day (June 14) one day early. Cabinet Secretary for Finance, Employment & Sustainable Growth John Swinney was there to encourage craft distillers and support the renaissance in Scotland’s gin industry. He said: “This is a great event which underlines the significant growth in spirit production for Scotland – and recognises the already major role we enjoy in producing gin. “The range of speciality gins is entirely in step with Scotland’s growing international reputation for the very finest in food and drink, so it’s a real pleasure to be here tonight at this exciting showcase. Commenting on World Gin Day, director general of The Gin Guild, Nicholas Cook says: “World Gin Day is the official day to celebrate everybody’s favourite juniper-based spirit. Gin is a firmly-established part of British culture and dates way back to the early 17th century. Some of our distilleries have been producing gin for centuries. 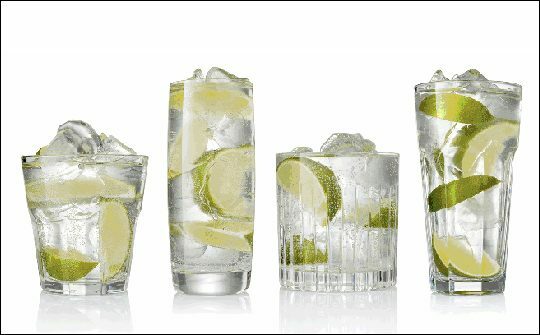 Many new distilleries have also emerged over the last few years however reflecting the new interest in gin both enjoyed with tonic but also as a key ingredient in fashionable cocktails.